It’s time to take a look at the Robert Oster 1980’s collection, starting with Grey Seas. I bought a sample of this ink and after trying it, I immediately purchased a bottle of ink from Pen Chalet. Grey Seas is a beautiful pale blue. In large swabs there is a large range of shading but no sheen. Other properties: high shading, no sheen, and no shimmer. I was able to see some shading in all nib sizes. Grey Seas seems to be a lighter version of Evening Sapphire, which I love as well. Click here to see the Robert Oster inks together. I used a TWSBI Eco Pastel Blue with a fine nib on Tomoe River paper. 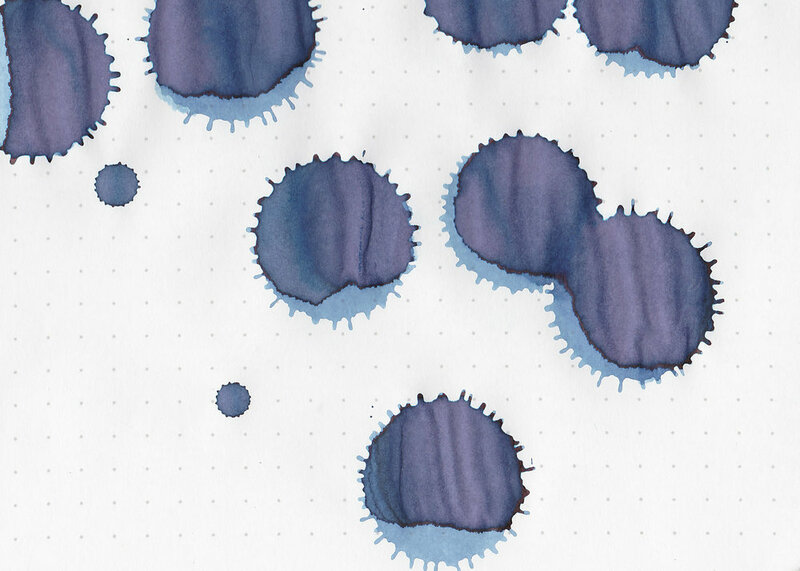 I love how this pen and ink look together. The ink had an average flow. Overall, I am so happy I bought a full bottle of this ink since I really love it. I love the color and the shading, it’s just beautiful.